If you’re thinking about adding a new member to your animal family, now is the time. November is adopt a senior pet month, so think about adopting a sweet, older dog instead of a rambunctious puppy or an adorable older cat instead of a curious kitten. There are many pros to going to your local shelter and picking out a senior pet. Exactly how old is a SENIOR pet? Defining a pet as a senior pet varies a bit, but small dogs and cats are often categorized as ‘senior’ around the age of 7 years old. Larger breeds are often categorized as senior a bit younger, around 6 years old. These dogs and cats still make amazing pets, despite their age! They’re still happy, sweet, lovable animals that need a good a home. In fact, senior pets are a great choice for many reasons. Adopting an older pet may actually save its life. People are always drawn to the cute, small puppies and kittens and it’s easy to overlook older dogs and cats. If a shelter gets overcrowded, older animals are often the first to be euthanized. Adopting that older dog or cat would mean you’re not only providing them a forever home, but you will also be saving them from being put down. An adult dog has grown out of the “puppy state of mind.” The world isn’t their chew toy and they aren’t quite as energetic. An adult cat won’t be getting into every single nook and cranny and aren’t likely to push the nice vase that your mom gave you off the shelf while staring at you like nothing happened. Older pets tend to have the basics down. Older dogs are normally potty trained, sometimes know simple commands such as “sit” or “lay down,” and often already walk well on a leash. Older cats are normally quite familiar with litter boxes and aren’t typically into chewing electrical cords or attacking your feet any time you walk by. Adopting an older pet means you can save a lot of time and effort it takes to train a puppy or a kitten the basic household rules. Age doesn’t define an animal’s intelligence. Older dogs and cats have better attention spans than puppies and kittens which means you can begin teaching them what you want to teach them right away. Of course, it varies depending on the animal, but older shelter pets are sometimes attention deprived and often eager to please you. Senior pets are more appreciative. It’s fitting that adopt a senior pet month is November, the month when we’re all thinking about the up-coming holidays and thinking of the things we’re grateful for. Human adults have learned to be more appreciative than young children and pets are no different. Older pets are more appreciative than younger ones. Bonding with a senior pet is a beautiful experience because it’s often a bond that forms very quickly. When you adopt a senior pet, you can be the hero that gave them a home when no one else would. Older pets really do seem to understand that they’ve been rescued and they are all the more thankful for it. So this November, if you’re adopting a new pet, consider adopting an older pet. They make great cuddle buddies, loyal companions, and grateful friends. You’re never too old to love or be loved. 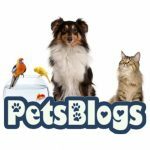 Great post and thanks for bringing awareness to this, many people think pups are very cute and gravitate towards them but older pets can be just as great if not better!